Claims clinic and Open House - Veterans and survivors will be able to file disability claims, submit evidence, get updates on their VA claims or Appeals, speak with a claims processor, and speak with Regional Office Leadership. In addition representatives from Veterans Health Administration will be available to answer questions. Lincoln Regional Office Director will hold a town hall meeting from 10:00am to 11:00am. The VA will be hosting a ceremony to commemorate the anniversary of the Vietnam War. The ceremony will be held at the American Legion Post #52 in Kearney, Nebraska. Come join us as we honor the brave men and women who served in Vietnam. During the ceremony Vietnam Veterans will be honored with a special lapel pin commemorating their service. 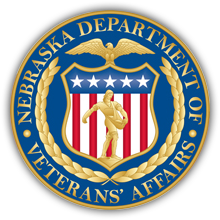 A VA benefits representative will be available to answer questions.